Saint Mary’s announced Friday the establishment of a new academic department, the Department of Gender and Women’s Studies (GWS), and a new interdisciplinary major in GWS. Director of media relations Gwen O’Brien said the College has offered a minor in women’s studies since 1985, and the program was named GWS in 2012. In February of this year, the Academic Affairs Council approved GWS as a major, and the minor remains an option for undergraduate students. Stacy Davis, associate professor and coordinator of the GWS Program, said the process for recognition as a major began in 2007, and the program just received administrative approval to become a major and department. Once the prospectus was approved, the Curriculum Committee had to greenlight the major. The GWS department consists of GWS faculty and professors from several other departments at Saint Mary’s, Davis said. GWS curriculum encourages students to examine and analyze women’s lives, she said. According to the 2014 SMC Bulletin, GWS applies an inclusive and interdisciplinary approach to the study of women, gender identities and sexualities. It is guided by feminist activism and feminist theoretical insight into different forms of power, inequality and privilege. Within each course in the department, students investigate the intersections of gender, race, class, sexualities and other identity categories from historical and contemporary transnational perspectives. 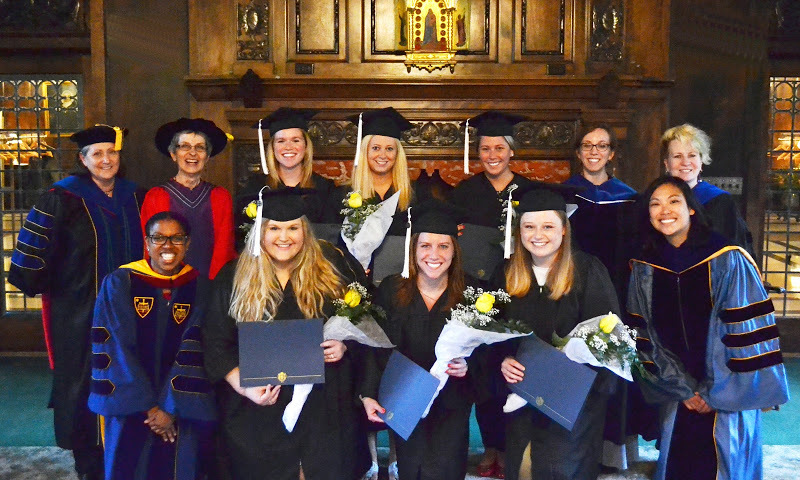 GWS, founded in 1984-85, was the oldest interdisciplinary program at Saint Mary’s, and Davis said it was important to make the transition to having a GWS department and major. “The best liberal arts colleges in the country, and especially women’s colleges, have traditionally had departments [or] programs in Women’s, Gender, Sexuality and/or Feminist Studies,” she said. “Forty-four of the top 50 liberal arts colleges have programs, and 32 of those colleges, including all of the women’s colleges, have majors. The department offers courses housed within GWS, as well as courses from 14 other departments and programs, Davis said. Sophomore Kylie Garabed is the first intended GWS major at the College. Garabed said the GWS major appealed to her because she is passionate about combating social injustice and wants to acquire the tools necessary to understanding social issues in society. Davis said she hopes the department continues to be a place that nurtures both faculty and student development. “It is exciting for me that the number of course offerings and affiliated faculty continues to grow,” Davis said. “Over the last several years, we have graduated a healthy number of [GWS] minors from a variety of majors, from art to nursing.